This is the best Groupon I have ever purchased! I have been in 3 car accidents since 2008 and have spent a small fortune on physiotherapists, chiropractors and RMTs just to be able to move and physically get through the day. Nao worked on my whiplash for an hour and accomplished more than all the others put together as far as my mobility going. I would highly recommend this company and Nao to anyone. If you’re looking for candles and babbling brooks, this is not the place for you. 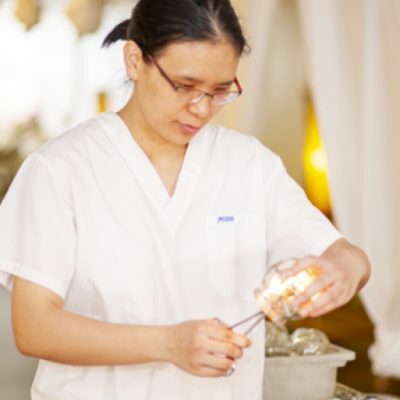 If you’re looking for an expert massage with no frills, then call Tuina! As mentioned by other reviewers, this is an open concept set-up. But the place is clean, and the staffs know what they are doing. My masseuse was Kanna, and she did an amazing job. I have a stiff back (I’ve had other RMT’s tell me I really need a jackhammer to my back). Kanna gave a very firm massage, knew exactly the spots that were troublesome and how much pressure to apply. One of the best massages I’ve received. I will come back again and again! It was my first time at Tuina and I was a little bit hesitant because of the reviews. BUT the massage felt amazing. I didn’t love the idea of the open space when I first got there but when Moe started the massage, I totally blanked out. It felt so relaxing that I didn’t care about anything in the world. As for the pressure of the massage, you can always tell the person to go deeper or lighter. I would definitely recommend this place to other!